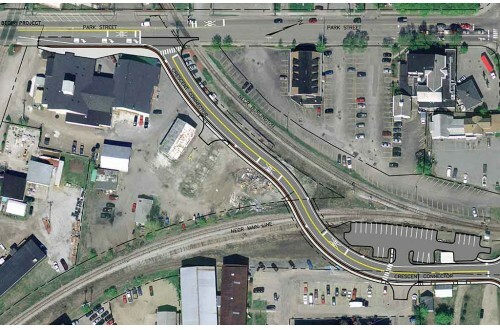 Crescent Connector Road Environmental Assessment - DuBois & King, Inc.
Design, Environmental Assessment (EA), and permitting services for the $6.5 million Federal Highway Administration (FHWA) funded Crescent Connector project. 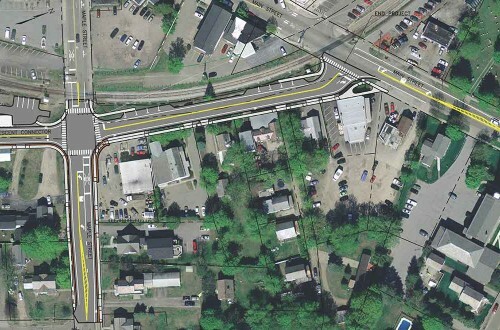 The Crescent Connector is a bypass around the congested Five Corners intersection in the Village of Essex Junction. The bypass will consist of a segment of new roadway and reconstruction of another roadway around the east side of the Five Corners intersection. Services include the preparation of design plans and cost estimates; preparation of an Environmental Assessment in accordance with NEPA; permitting; right-of-way acquisition and utility relocation assistance; public outreach; preparation of bid documents; and engineering design services during construction. With the use of 100% Federal funds, the project is being administered through the VTrans Local Transportation Facilities (LTF) Section. For the Environmental Assessment, D&K and its subconsultants performed environmental resource identification, inventory, and assessment, including wetlands and natural, historical, and archaeological resources; conducted hazardous waste investigations; developed an extensive traffic analysis of the Village road network; and prepared the EA document. Throughout the development of the EA, D&K coordinated with FHWA and State regulators. The EA Document includes a Purpose and Need Statement; discussion of alternatives considered; resources review of affected environment and anticipated impacts/mitigation; supporting information including traffic impact assessment, hazardous waste review and field screening, and air and noise analyses; Section 4(f) evaluation of historic places; and Section 106 review. The EA process includes a public hearing and preparing responses to comments.